Visitor’s clothing must conform to proper dress standards. 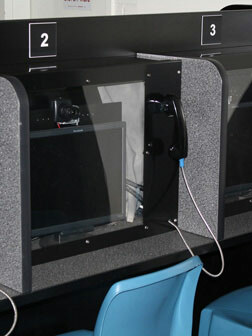 Inmates may receive visits upon being assigned to a Housing Unit. Visiting schedule is based the individual’s Classification Status. Friday 8:30 a.m. – 11:00 a.m.
Friday 1:30 p.m. – 4:00 p.m.
Daily: 8:30 a.m. – 11:00 a.m.
Daily: 1:30 p.m. – 4:00 p.m.
Daily: 7:30 p.m. – 11:00 p.m.